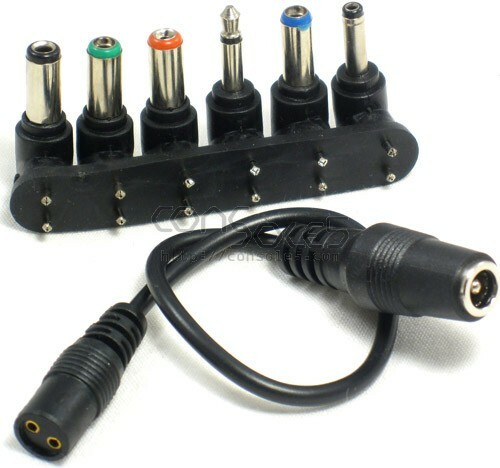 6-piece adaptor set converts any 2.1mm x 5.5mm power supply (Sega Genesis, TG16, Atari Jaguar) to 6 different plugs and polarities. Note: This includes the proper connector for the Intellivision II but the plug has insufficient depth for a reliable connection. Be sure to match transformer specs to game system requirements!